Putting together the pieces of the Rolex history puzzle over the years has been absolutely fascinating for me. Doing so is kind of like putting together a jigsaw puzzle–you begin by separating all the edge pieces and you figure out how to assemble them to form the frame, then you work your way inward, toward the center, and complete the puzzle. 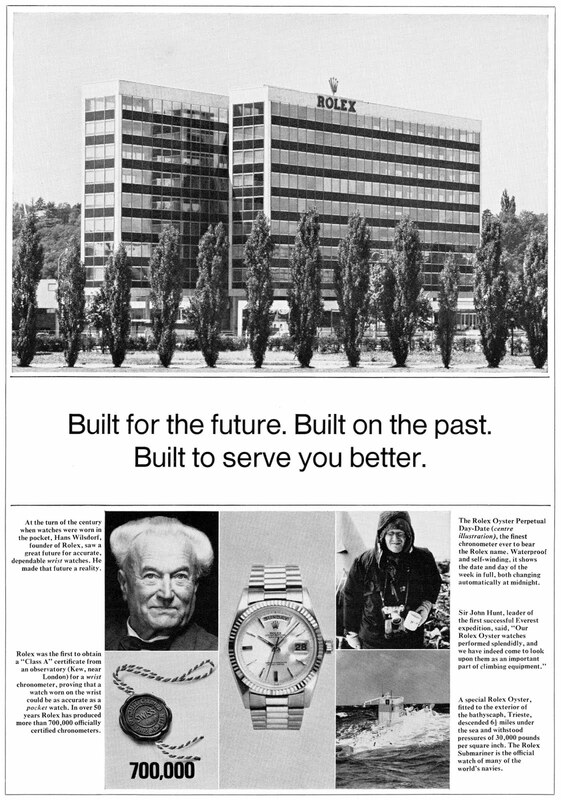 This early 1960s ad was likely created just after Hans Wilsdorf's death. I don't have the exact date, but I would guess it was probably around 1962-1963. It is fascinating to note Rolex talks about how it took them over 50 years to produce their 700,000th Officially Certified Chronometer. Ironically, Rolex makes more than 700,000 Officially Certified Swiss Chronometer a year now!! !